Betty & Co have given us the perfect trousers for both business and pleasure. 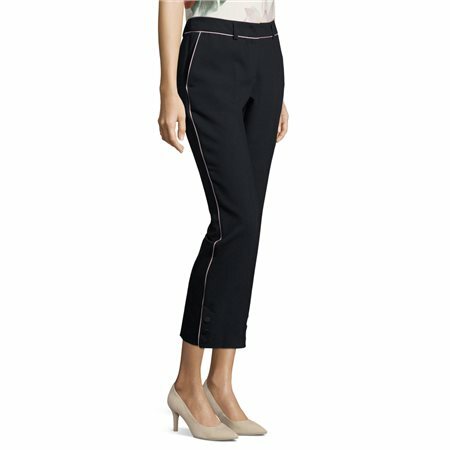 These smart business trousers have a pressed pleat with a touch of feminine class with its pink satin rim along the waistline. These are slim leg trousers with a latch closure and would look great with a tucked in blouse and a thin shiny belt.